Despite the years of studies in the field of systems neuroscience, functions of neural circuits and behavior-related systems are still not entirely clear. 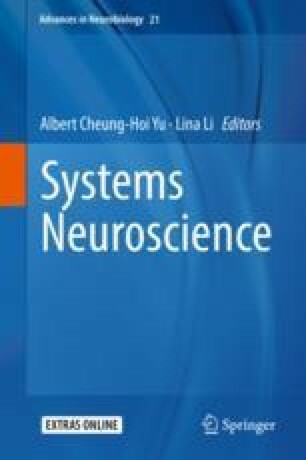 The systems description of brain activity has recently been associated with cognitive concepts, e.g. a cognitive map, reconstructed via place-cell activity analysis and the like, and a cognitive schema, modeled in consolidation research. The issue we find of importance is that a cognitive unit reconstructed in neuroscience research is mainly formulated in terms of environment. In other words, the individual experience is considered as a model or reflection of the outside world and usually lacks a biological meaning, such as describing a given part of the world for the individual. In this chapter, we present the idea of a cognitive component that serves as a model of behavioral interaction with environment, rather than a model of the environment itself. This intangible difference entails the need in substantial revision of several well-known phenomena, including the long-term potentiation. The principal questions developed here are how the cognitive units appear and change upon learning and performance, and how the links between them create the whole structure of individual experience. We argue that a clear distinction between processes that provide the emergence of new components and those underlying the retrieval and/or changes in the existing ones is necessary in learning and memory research. We then describe a view on learning and corresponding neuronal activity analysis that may help set this distinction. This work was supported by Russian Science Foundation grant #14-28-00229 for Institute of Psychology, Russian Academy of Sciences.